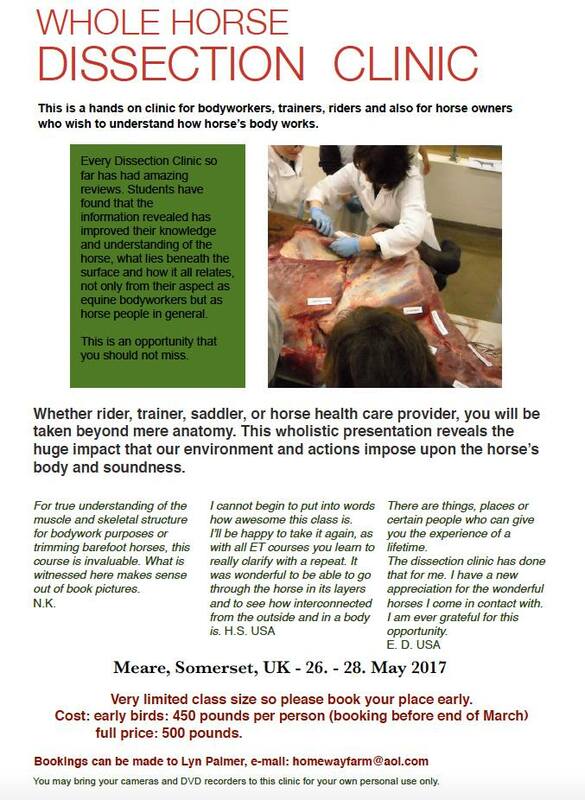 The Whole Horse Dissection in UK is open to all. 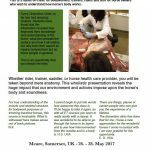 26-28 May 2017 in the Somerset area. If interested please contact our coordinator Lyn Palmer: homewayfarm@aol.com. Looking forward to seeing you there. Special Early Bird Discount available if booked before the end of March. Additional discount to IETA UK & Ireland members.